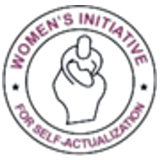 The Women’s Initiative for Self-Actualization is a non-governmental organization based in Akwa Ibom State, Nigeria. It is duly registered with Corporate Affairs Commission (CAC), National Planning Commission, Federal and Akwa Ibom State Ministries of Women Affairs and Social Development. The organization is headed by the President/CEO and other board members. Formed by Ms. Iniobong E. Frank with distinguished Board of Trustees and its secretariats are run by an Executive Director and experienced staff. Mrs. Iniobong E. Frank, the President/CEO is a successful businesswoman, and through this success she has been engaged in charitable giving for over twenty years. This commitment to giving back to the Nigerian Society culminated in the formation of Women’s Initiative for Self-Actualization as a structured vehicle through which she can make substantive contributions to social change in Nigeria. Women’s Initiative for Self-Actualization mission is committed to promote women’s rights, gender equity and sustainable development for poor and excluded women, youth and children. Giving-Hope, assurance and restoration to our rural poor women, youth and children through ascertain empowerment. Enhanced the poor and excluded people and communities to exercise power to secure their rights especially women and girls. Alleviate the extreme hunger, poverty for the excluded and disadvantaged women, youth and children through economic empowerment. Improve the wellbeing of children (5-18years) through psychosocial, nutritional and education support. To improve on applying strategic approach to expand opportunities for non-formal education focus on life skills training for out-of-school youth, orphans and women. it serves two purposes: It motivates girls to delay marriage and childbearing and to continue their education, and it also gives them means to earn a livelihood. The organisation works mainly through community facilitators and volunteers in our target communities. Our strategy of working through partnership is intended to build the capacity of staff, supporting innovation and ensuring that the funding we received from donors meets the needs of the target beneficiaries and is culturally relevant. We partner/collaborate with local, state and national government agencies to enhance sustainability of our projects. The organization also seeks collaborations/partnerships with international agencies working in the target areas. The important component of the organization’s work is the dedication to documenting and analyzing of the projects we receive funding to assist in strengthening our future dealings with donor agencies, and assist in influencing policies and practice in the areas we operate. Women’s Initiative for Self-Actualization has six (7) board members and five (7) staff with consultants, volunteers and community facilitators.